Welcome to the Auto Mall of Champaign, home to some of the finest quality pre-owned vehicles in all of Champaign County! 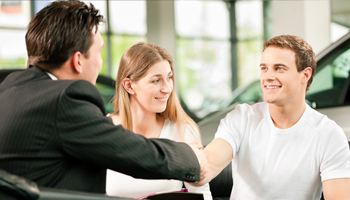 We are known for offering elite pre-owned vehicles, most of which are still under their manufacturer’s warranty. Proudly serving customers for many years, we feel blessed to say that we are one of the top movers of vehicles in the Champaign area. We assist customers both in and out of state, so no matter where you come from, you can count on us to help advise you in picking a vehicle that best suits your needs and personality. For us, customer satisfaction is everything and that’s why every vehicle we display on our lot is passed through a rigorous 25-point CFI Inspection in our 9-bay service department. With competitive pricing and a healthy variety of financing options, we make sure that our customers leave with both a great car and a great deal. We strive to cultivate our relationship with each of our customers. Having a dealership that lacks integral customer service isn’t only shameful, it’s bad business! We understand the importance of customer service for our business and that’s why we are proud to offer customer service of the highest caliber. We go the extra mile to make sure our customers are confident in coming back to us for any of their future needs. No pun intended.